Trev’s Times – WEEK TWENTY-ONE! Hello there Furness, can you believe it’s week 21?! This term has FLOWN by! Now, let’s see what we’ve got going on in our last week of term. We’ve teamed up with Grizedale to give you guys a free breakfast this week! Head to Grizedale bar (upstairs) on Wednesday from 8:30am for some free food and a lovely start to the day! Furness College students will graduate on Friday 19th July 2019 at 11:00am. General information for graduating students can be found on the Ceremonies website. Tickets for the College Celebrations are now available to order via the Online Store. Tickets are free for graduating students who are accompanied by guests. Please see our Furness College website for more information. We hope you can join us in these celebrations. In the meantime, enjoy the rest of your time in Furness, good luck with your examinations and we hope to see you on Graduation Day. After a new round of by-elections and co-options this term, we would like to introduce you to your new OFFICIAL Furness Socials Officers: Elissa Griffiths and Chris Hill! They’ve both got lots of ideas for the college, watch this space for what they have in store! The first Friday back marks the start of ROSES weekend 2019! This year the event will be hosted by York! Even if you’re not participating – get in the uni spirit and support! Keep an eye on the event page for all updates! And thats it for now, folks! Quite a quiet week, but there’s lots to look forward to next term! Hope you all have a lovely Easter holidays – good luck to everyone in your exams and deadlines! See you next term! Trev’s Times – WEEK TWENTY! If you are finding it hard to find someone to talk to or are struggling with issues such as anxiety, bereavement, caring, illness, low mood, relationships, work problems then why wait any longer? Lancaster Medical Practice provides you with The Listening Service to support you through difficult times. Trained listeners can give you time to talk for up to an hour, in complete confidence. Appointments are available every Wednesday at various sites of Lancaster Medical Practice. Book an appointment at the reception today or to arrange an appointment over the telephone, please call 01524 541651. If you’re feeling the pressure from studying and revision, come and say hello to your College Wellbeing Officers in the Library Foyer and The Base between 12 and 2pm on Wednesday 20th & 27th March. Pop down to play some games or grab a brew, and give your brain a well-deserved break! We’re providing a chill-out area in the Base, so come along with your friends and take the pressure off for a while! Get some tips for managing study and exam stress, along with a healthy snack. Could you be our newest JCR member, joining us a Socials and Events Officer? Let us know! Nominate yourself by sending your manifesto to the Facebook page by Wednesday (20/3)! Quiet Period is the time leading up to and including exams. It is especially important at this time that residents are allowed to study in peace. Quiet Period will run from the 29th April until the 19th June 2019. Please be aware, noise fines are doubled during this time. All are welcome to join us in the Furness JCR for our ‘Jam-in-Furness’ on Friday 22nd March from 20:00 until 23:00. Entry for this event is free. If you are a musician and/or singer and would like to join then please contact Paul at paul@paulpalmersax.com or come along and enjoy some live music. That’s about it for this week! Keep plodding along everyone, the end of term is in sight! See you next week. Hello there Furnessians! Can you believe it’s week 19 already? Where has the time gone? Anyway, here’s what we’ve got going on this week. This week is Enterprise Week! Gain insight into building a successful business, CV writing, public speaking and more! Each event is open to anyone and everyone, so come along to find out more! Visit the FB event for the full schedule! This Thursday, why not take break from work and visit us in Furness Foyer (2-3pm) to get yourself a free donut? You’ll need to like the Furness Welfare page first. Last week Bar Sports went up against Crapmel. Men’s Dart won 5-4, Women’s Darts won 4-3, Men’s A Pool lost 5-4, Bs won 5-4, Women’s pool won 5-4 and Doms won 2-1! Table Tennis also went up against Cartmel, winning 17-4. Netball B’s lost 15-28 to Lonnie. In Patriots, Furness lost 165-175 – thank you to everyone who came down and participated/ supported! Come along to the final of the Sustainability Challenge and listen to college teams present their ideas for making the university more sustainable. With previous ideas including the Community Fridge, Eco Hives and Precious Plastics, come and see what great ideas Lancaster students are putting forward to improve your university campus. Starts 5.30pm prompt, Cavendish Lecture Theatre, Tuesday 12th March 2019. Refreshments provided. And that’s it for this week, folks. See you next week! Freshers Countdown… 2 Weeks to Go! Following on from last week’s Lancaster Guide post… here is your Furness College Guide! This post will cover general information about Furness College, which is mainly it’s accommodation and location information, events that take place within the college, and college-run sports teams. Prepare to learn about all things Furness and read on to find out about all the great things that you can get involved in through your college during your time at Lancaster. 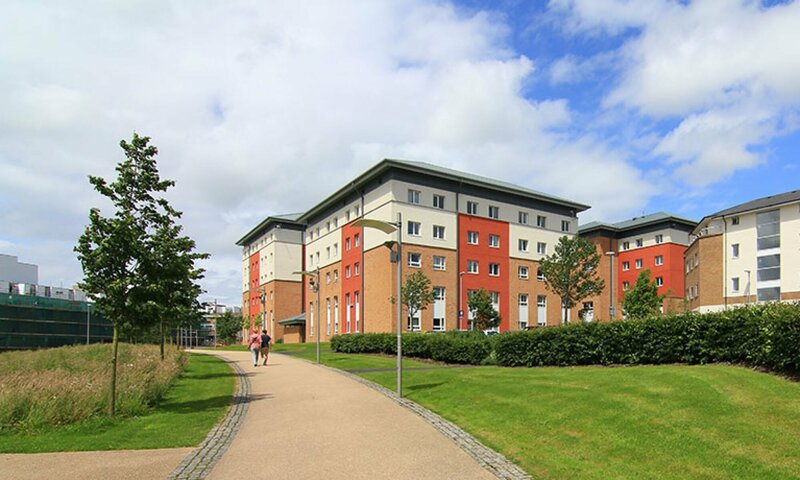 All of Furness accommodation is on central campus and is only about a minute walk to the central amenities on campus: Sultans, Spar, Costa as well as the Furness Common Room. The College buildings themselves have the offices of the Furness SCR (for example admin and welfare); the TV Room where all our Chill Factor events will be taking place in Freshers’ Week; the porters’ office where you can get your post and of course our own bar… Trevor! Trevor is the best place on campus to enjoy a tea or a coffee during the day. At the end of the day, it’s a place to relax and socialise. The bar also serves a wide range of wines and ciders! Various events are held in Trev over the year, such as GinFest and Trev Quiz. The SCR are your Senior College Representatives. The Senior members of the college have a role in managing the college and work closely with the JCR to make sure that the college runs smoothly. The Porters are your first port of call for almost anything. They provide safety on campus, are available for urgent needs and also to collect your parcels. The Furness Porters are some of the loveliest people you’ll meet, and it’s a good idea to get acquainted with them as soon as you can! The JCR are your Junior College Representatives. They are there to represent you, organise social activities and keep you informed and aware of all college activities and events. For more information go to the People page to view images of what these college members look like so that you have a couple of friendly faces going into Freshers Week! 15 HOUR BAR CRAWL! The Furness 15 Hour Bar Crawl is the college’s notorious event that happens twice a year. You will soon become familiar with Lancaster town centre, and the bar crawl will only help you grow your local knowledge! It’s a great way to bond with the whole of the college, and it is a really enjoyable event for all! It is a ticketed event and it does sell out fast, so keep your eyes peeled on the Furness Facebook page to make sure that you don’t miss out! SPA NIGHT! The Furness Mountain Retreat was a popular event run in 2018 by Socials Officers Fran and Alex alongside the Welfare Team, and it proved to be a success! A super relaxing event involving face masks and yoga that is sure to make a comeback! EXTRAV! Furness’ end of year themed festival has been a sell-out event for the past 3 years, rivalling other colleges! Last year’s Extrav theme was Lost College and you can check out some of the pictures from on Instagram (@furnesscolllege). Will you be part of this year’s Extrav? Starting university and making new friends can be pretty daunting, so why not become part of a Furness sports team! It is the perfect way to socialise, keep fit, and get into the college spirit during your time at Lancaster! Taster sessions and trials for each sports team will be happening in Freshers Week or just after, so keep reading to find out more! FURNESS NETBALL is so much fun to get involved with, all the girls on the team have so much fun in training, matches and in their socials (check out the team’s Instagram account for more: @FurnessNetball)! The Furness Netball team is great for anyone, of all abilities and whether or not you’ve played before. Netball trials are held on Sunday the 7th of October, and the girls can’t wait to see you there! There is a Facebook event page if you would like to see more about the event and show your interest. FURNESS FOOTBALL is a great way to socialise and gain a great group of mates. The football team is competitive but are known for their good sportsmanship and great socials! The football trials are held on October 3rd, the Wednesday in Freshers Week, so look out for more information in group chats… And follow the *unofficial* Instagram @furnesscollege_fc for more. FURNESS BAR SPORTS is a great way to get involved and to get into the college spirit. It is super informal and super social. The bar sports taster will be held on Saturday, October 6th, so the Saturday of Freshers Week to conclude your first week at Uni, ah!!! FURNESS TABLE TENNIS is a great way to get involved in table tennis for people of all abilities. Whether you’re a beginner and want to improve your game or if you’re a more advanced player and would like to play competitively Furness College welcomes all to the college table tennis team. The table tennis team trains twice a week and has an intercollege league every Wednesday. Trials are going to be held on the 8th and 9th from 6:15pm. Contact Daniel Head or Emre Ceyhan if you have any questions! *Sports trials are mainly to test people’s levels of ability in order to place people in the right teams, and are absolutely no pressure at all and should be seen as fun! There you have it! That’s the lowdown on the college that you’ll soon be calling home. Hopefully this has helped you all, and that you’re just as excited about joining as we are about having you! As always, send us a message if you have any questions at all! Freshers Countdown… 4 Weeks to go! Welcome to the Furness freshers’ blog. In the next couple of weeks leading up to Welcome Week, here is where you can find the information you need to prepare for student life at Lancaster. 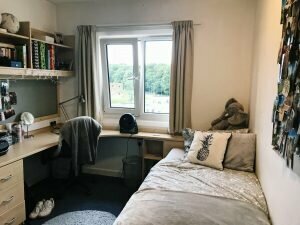 We will be sharing tips on decorating, on settling into uni life, and giving you guides on both Lancaster and the University so that you will hopefully feel more at ease come Moving In Day! Today, let’s talk decorating! Pictures and posters! My pinboard in my room was covered with pictures of my friends and family, just as a reminder of home, whereas my flatmates had posters of their favourite TV shows. Little things like this really give you the opportunity to show your personality through your decoration. And, a lot of the time it is a great way to bond with your flatmates as they can act as a great icebreaker! Fairy lights! These are another fab way to make your room feel very cosy, especially after those long days of lectures when all you really want to do is snuggle down with a cup of tea and watch Netflix and let the rest of the world go on without you for a little while. And, fairy lights are a great alternative to candles, which unfortunately you can’t have in your uni room for fire safety reasons – just make sure that you follow college rules and only use battery pack fairy lights (also for safety reasons)! A blanket. Going back to the whole homely idea – blankets or throws are the easiest way to make your bedroom super cosy, especially in the winter time! A plant. As if you don’t already need more responsibility going to uni… Just kidding (sort of)! A plant is a really nice way to bring some life into your room. You could even name it too if you’re missing your pets while you’re away! – Extension lead – for all those devices! – This one is optional, but one I definitely found useful in standard accommodation, some cheap plastic drawers for the bottom of my wardrobe and a plastic box just for shoe storage! I think that’s it for now… but don’t hesitate to get in touch if you have any questions! Really looking forward to meeting you all soon!